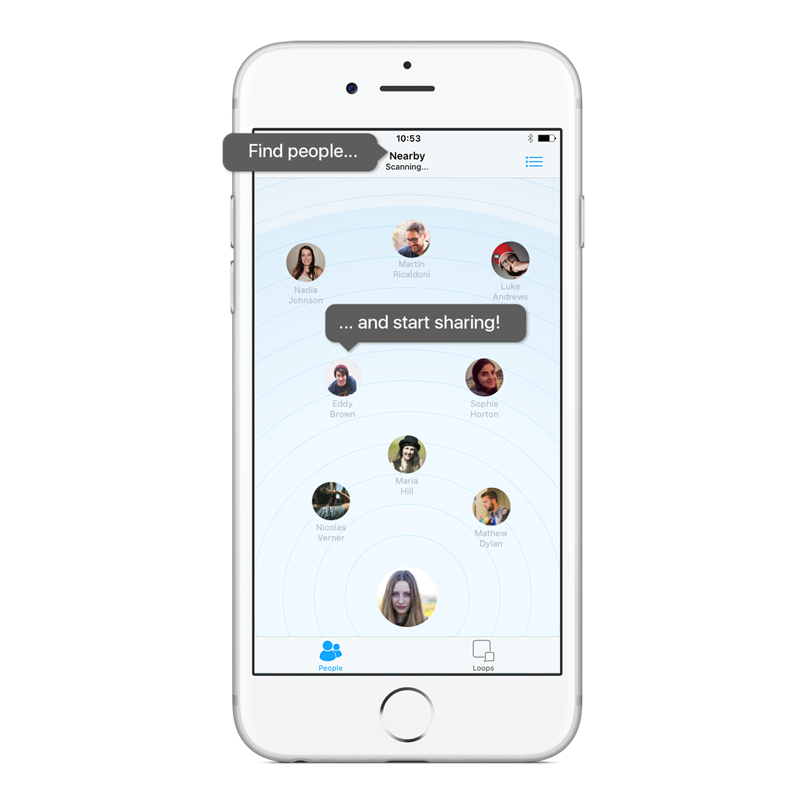 Communication with nearby devices made easy, like Airdrop on steroids! Create conversations anywhere, and invite those around you to participate, no mater what the network conditions are. 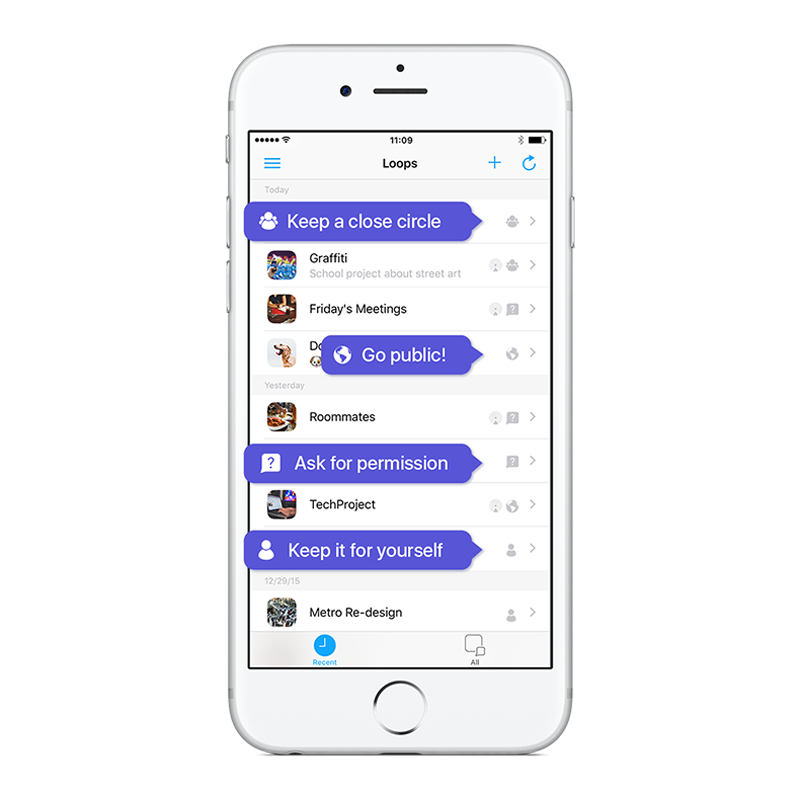 Share and chat without leaving traces on any server infrastructure. Gather information while on the go, take pictures and videos in remote locations to synchronize them later with your peers. Discover people arround you and start sharing. 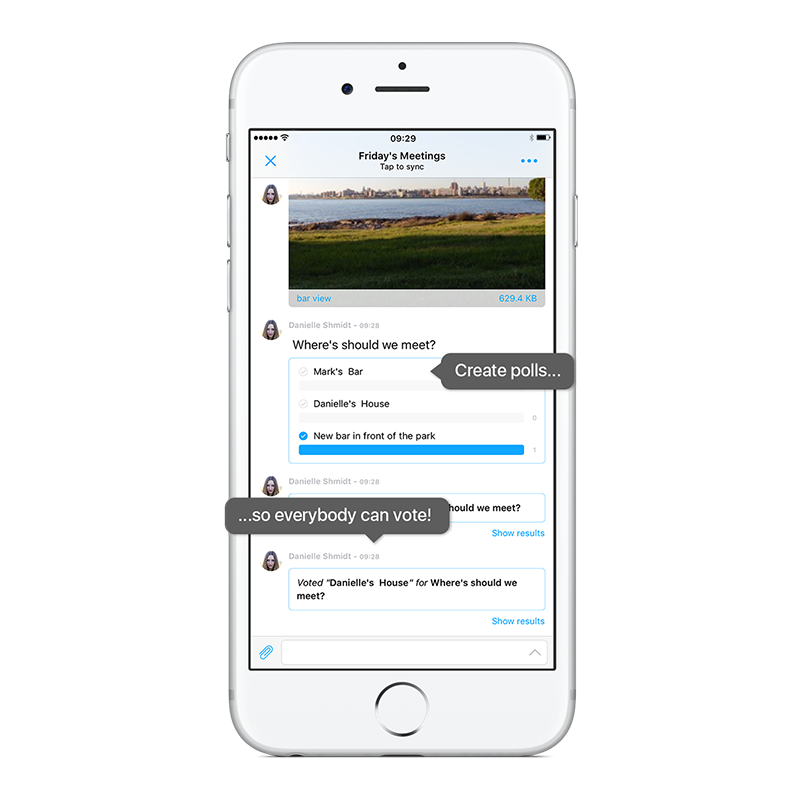 Create conversations, invite close by colleagues to join, and start sharing content right away. 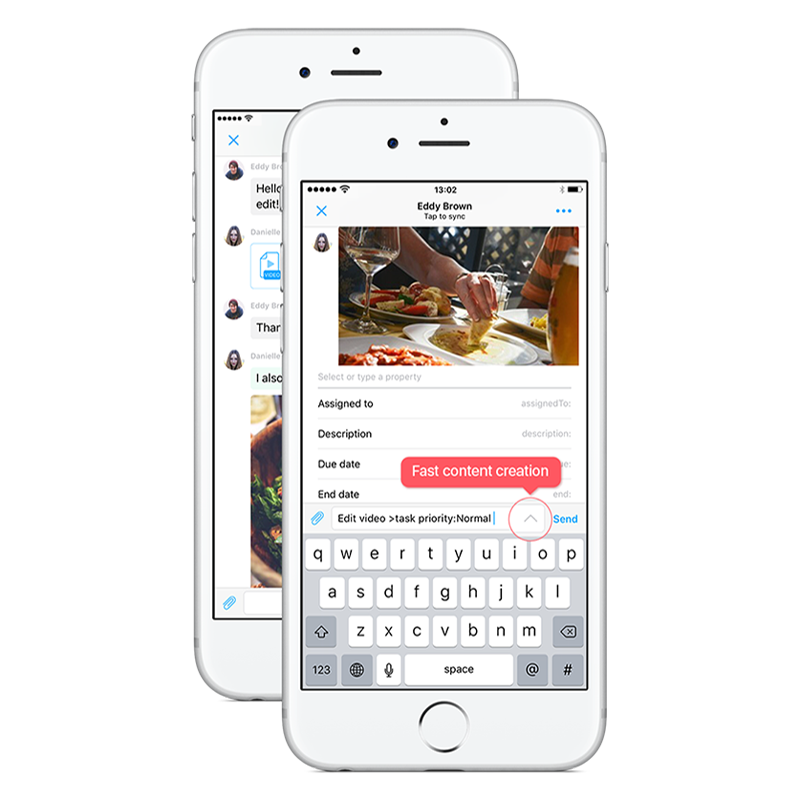 Secure chat, share without server. 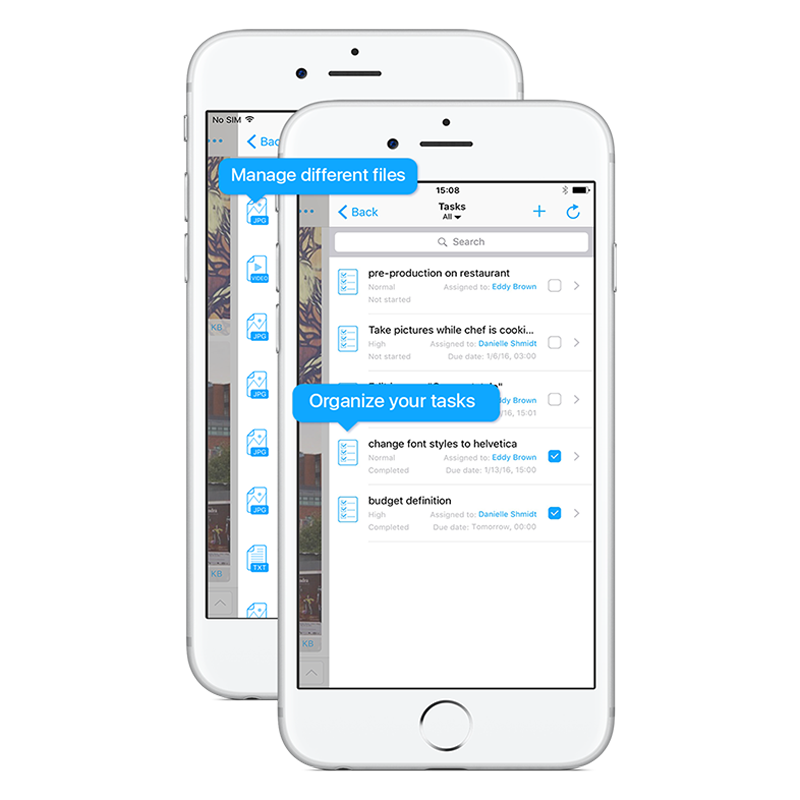 Create, manage and exchange tasks, files, links and images with ease. Poll everyone for a quick vote, settle common decisions in a minute.